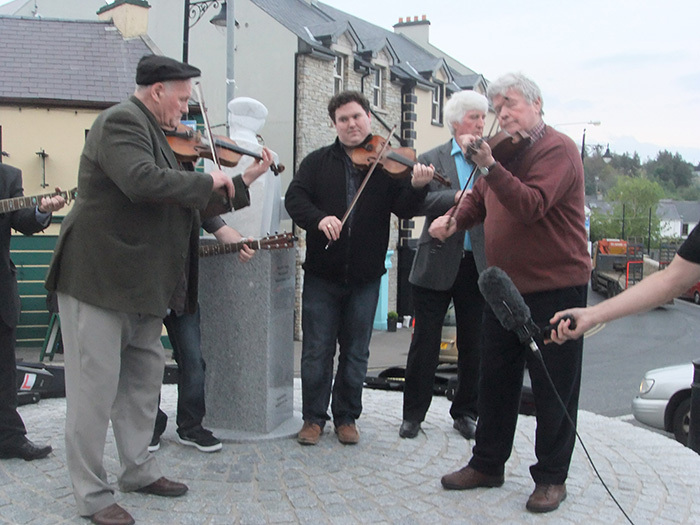 The Cup of Tae festival returns to Ardara for the May Bank Holiday Weekend ( April 29th – May 2nd )The ‘Cup of Tae’ is the name of an Irish Reel. Our festival is in honour of a renowned player John ‘The Tae’ Gallagher (generations of his family before him made ‘teas’ on Fair Days and other days of local importance), hence the name of the festival. John ‘The Tae’ Gallagher was born in West End, Ardara in 1923. At the age of four he began playing the fiddle and at the age of five he gave his first performance at a local concert.From this he progressed to playing at dance halls and finally solo playing at special functions etc. 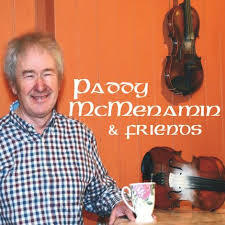 He also performed complex duets with another local fiddler called James Josie ‘The Post’ McHugh. John ‘The Tae’ Gallagher won Oireachtas Senior Fiddle competition in 1956 and in 1959 won the All Ireland Senior Competition at the Fleadh in Thurles. Registration Friday 29th April, 2016. 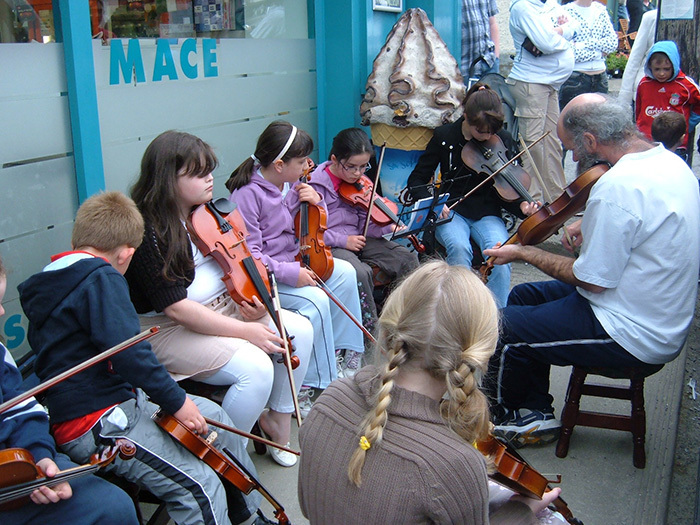 Begin ners School of Music in Fidil, Feadóg Mór, Giotáir, Feadóg Stáin, Bosca Ceoil. Moderate & Advanced only in Fidil, Feadóg Mór, Feadóg Stáin & Giotáir. 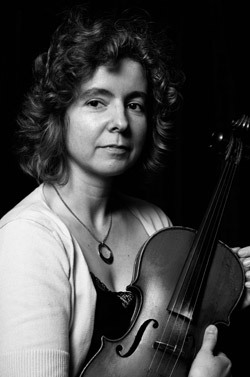 The unsung hero of Donegal Fiddle playing joined by the best Musicians around and their presence at any Musical Session promises a night of the best Musical talent Donegal has to offer. Traditional Music free in all Pubs every night (see Posters). Class Times: 10.00 a.m. – 12.30 p.m. and 2.00 p.m. – 4.00 p.m.
Heritage Centre at 1.00 p.m. This is a unique event as a special group of young Musicians from Co Monaghan put on a performance. 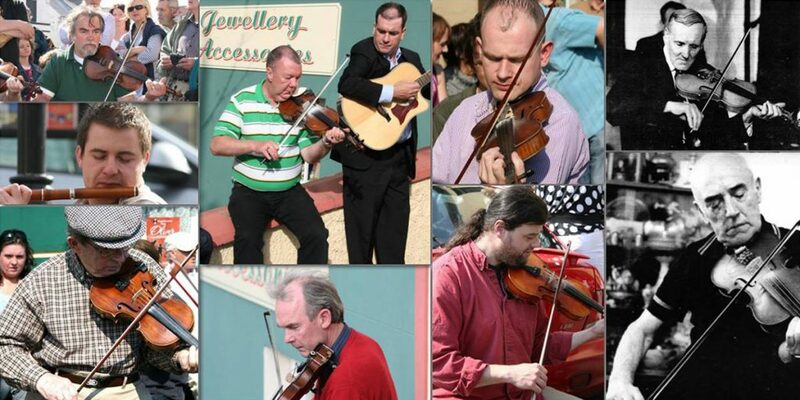 They will be joined by Special Guest Paddy McMennamin and local Fiddle Maker & Top Musician Michael O’Rourke. A free Event – Not to be missed. 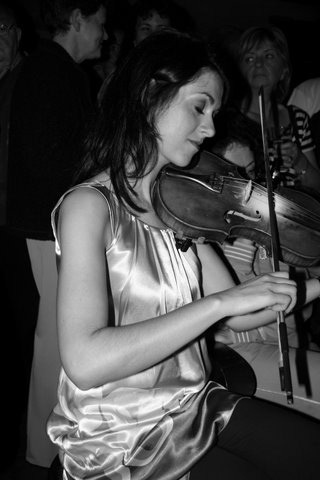 Open Air Recitals – 3.00 p.m.
Amongst the many guests this year are a group of musicians from Columbia and also a group of traditional players from New York plan to attend. Corner House Bar at 8.00 p.m.
James Keeney will present an evening of Story, Song & Dance with Recitations and Craic to particularly acknowledge the late Packie Manus Byrne. Beehive Bar at 9.00 p.m.
An evening with Brid Harper. An evening of Sessions and Stories with many of the visiting Musicians joining Brid at this very special event. Heritage Centre – 1.00 p.m.
Open Air Recital on the Diamond – 3.00 p.m.
display the learning that took place with a Session on the Diamond. Finale Concert in the Nesbitt Arms Hotel at 8.00 p.m. The John “the tae” Concert is always a special event. This year a list of top Musicians who will perform at this Concert in honour of the late great John “the tae”. A show not to be missed. Please come early. Seating limited.